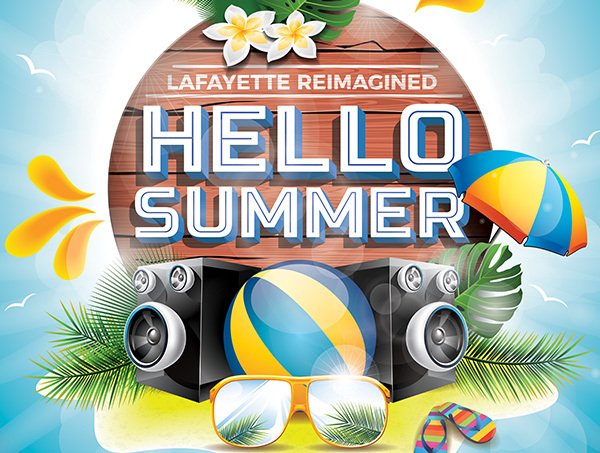 The Lafayette Hotel's famous pool parties are back with a new sound, look, and vibe for a fresh start in 2018. Say HELLO SUMMER at our first party this Memorial Day weekend in May, where we will have entertainment, artists and pool games. Our hotel's unique personality continues to charm every day, where you can enjoy a classy time in your best suit, or splash around with friends and festive floaties. Whatever your style is, we are ready to stimulate your senses and celebrate the late summer afternoons that you deserve.